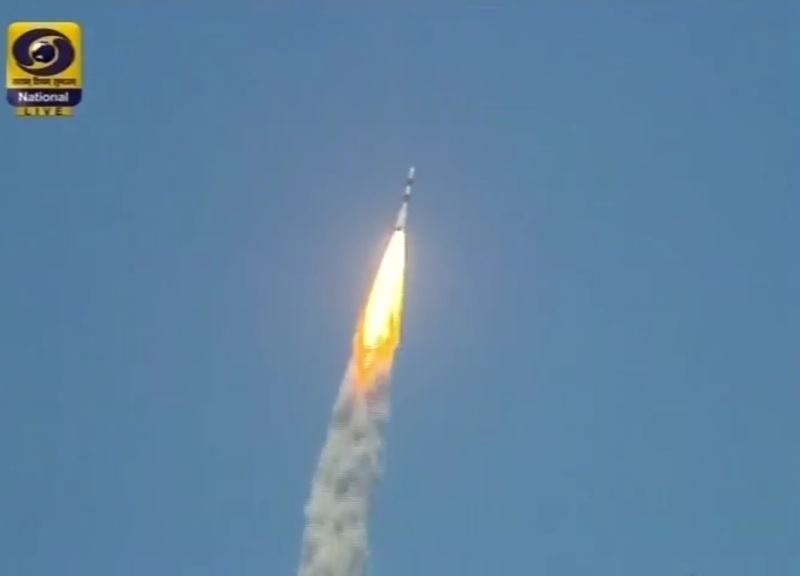 India successfully launched the seventh and last satellite in the first generation of Indian navigation satellites into orbit on Thursday via the country’s workhorse Polar Satellite Launch Vehicle – concluding a decade-long effort of establishing a regional satellite system to become independent of foreign navigation services. The 45-meter tall PSLV rocket lifted off from the Satish Dhawan Space Center on India’s east coast at 7:20 UTC and rumbled into the skies under the loud thunder of its solid-fueled first stage and boosters. 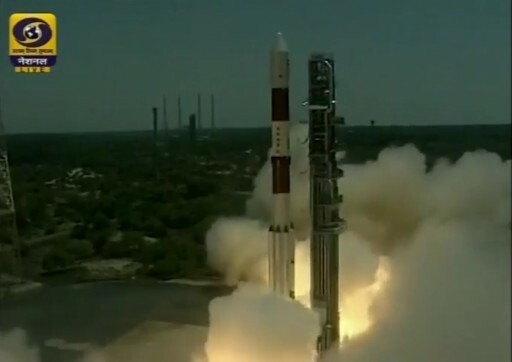 Leveraging the power of solid rockets and the precision of liquid-fueled engines, PSLV completed a 20-minute ascent mission, culminating in the release of the 1,425-Kilogram satellite into a sub-GTO-type orbit. 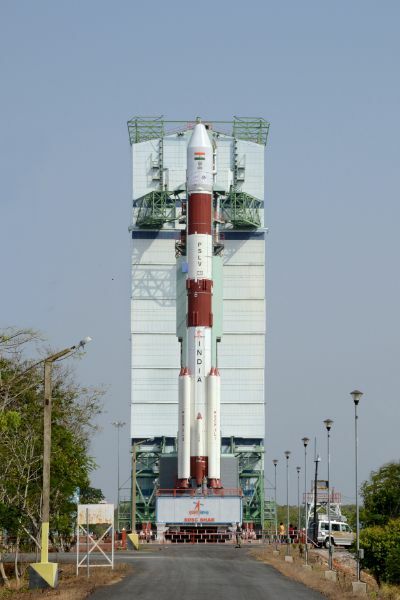 The Indian Regional Navigation Satellite System was approved as a program in 2006 and went through a long development process ahead of the project’s first launch in 2013. 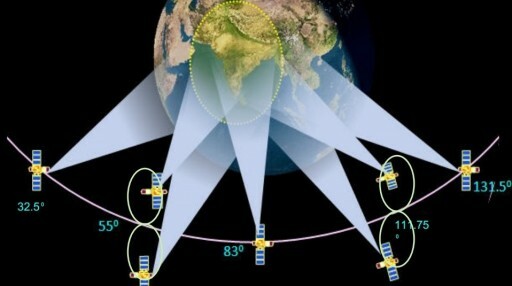 Operated from Geosynchronous and Geostationary Orbit, the IRNSS architecture only offers services over the Indian territory, but is much simpler than a global system with a large number of satellites flying in perfect orbital formation with cost being a considerable factor in the decision to opt for a regional deployment only. 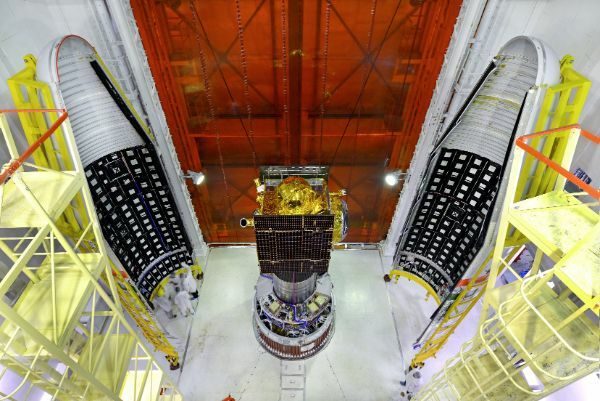 After the first IRNSS satellite proved its functionality in orbit, the Indian Space Research Organization accelerated the pace of launches with the last three IRNSS first generation satellites heading into orbit in the first four months of 2016. To bring the satellite constellation to fully operational capacity, IRNSS-1G will complete the climb to Geostationary Orbit in the coming days, entering the easternmost slot in the satellite system. Fully operational capability of IRNSS is expected to be achieved by July. India’s navigation system is compatible with the American GPS and the European Galileo systems, also using the L5 Band for the distribution of navigation signals, conditioned based on highly accurate timing information provided by an atomic clock installed on the spacecraft. Reaching as far as 1,500 Kilometers beyond the Indian territory, IRNSS is available free of charge to all users with a compatible receiver. In its open mode, the system is expected to achieve an accuracy of 10 to 20 meters while a more accurate restricted service is only made available to authorized users. The IRNSS space segment is comprised of seven satellites, three of which are located in Geostationary Orbits above the equator while the other four reside in inclined Geosynchronous Orbits and operate in pairs, sandwiched between the GEO satellites. Each of the satellites is expected to operate for 12 years before being replaced by the next generation of IRNSS satellites. All seven IRNSS-1 satellites were delivered to orbit by India’s flagship launcher – the PSLV, in operation since 1993 and fully established as a reliable launch vehicle on the international market. With a launch mass of 320 metric tons, PSLV consists of a four-stage stack and sports six boosters clustered around its core stage when flying in its XL configuration – required for all launches to Geostationary Transfer Orbit. Thursday’s launch was preceded by a 51.5-hour countdown facilitating the loading of liquid fuels into the second and fourth stages of the rocket as well as the Roll Control Thrusters of the first stage – a lengthy process completed on Tuesday and Wednesday before PSLV headed into final checks and preparations in the overnight hours. The launch team kept close watch over the rocket during the final phase of the countdown that included the last setup steps of the tracking network and a final round of checkouts on the PSLV leading up to final Launch Clearance – given just minutes ahead of the start of the Automatic Countdown Sequence that took the vehicle through a choreographed list of steps to enter flight mode. Firing up its powerful core stage along with four of the boosters, PSLV jumped off its pad at 7:20 UTC on Thursday with a total thrust of 700 metric-ton-force. 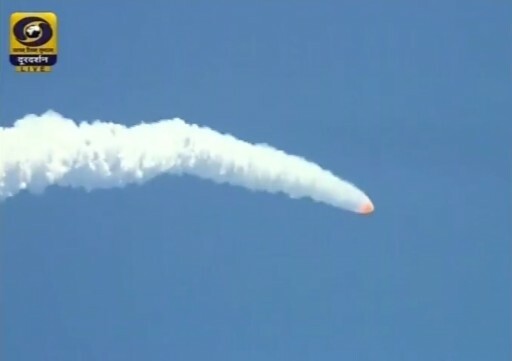 Powering away from the Indian coast, PSLV aligned itself with a trajectory to the south-east and ignited the two remaining boosters when passing 25 seconds into the mission to increase the vehicle’s thrust of over 800 metric ton-force. The ground-lit boosters burned out 50 seconds into the flight and were separated in pairs at T+70 seconds with the two air-lits following suit just under half a minute later. The massive core stage continued operating until one minute and 50 seconds after liftoff, boosting the stack to a velocity of 2.4 Kilometers per second. Immediately after thrust on the stage tailed off, it was separated to clear the way for the ignition of the Vikas engine on the second stage. Staging occurred 57 Kilometers in altitude and Vikas assumed control of the mission for a burn of 2.5 minutes during which the 81,500-Kilogram-force engine burned over 40 metric tons of hypergolic propellants. The protective payload fairing split open and departed the ascending rocket three minutes and 19 seconds after liftoff when the vehicle had climbed above the discernible atmosphere. The PS3 stage, loaded with nearly 7,000 Kilograms of solid propellant, fired one second after the second stage departed the stack at T+4:22. Over the course of its 112-second burn, PS3 increased the vehicle’s speed to 7.7 Kilometers per second. 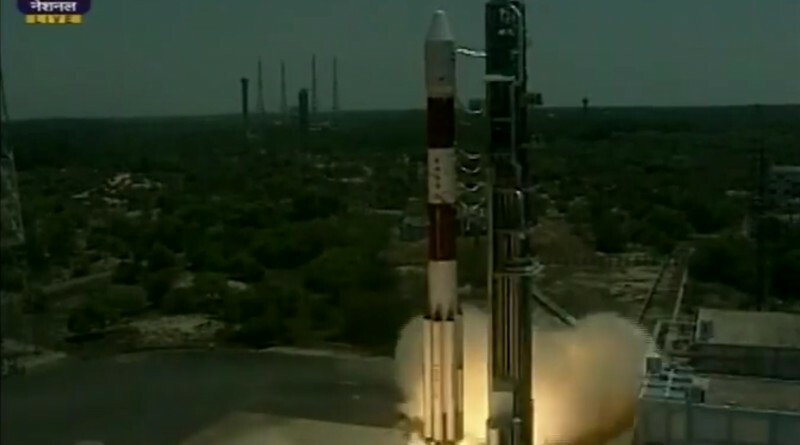 PSLV held the third stage after its burn for a coast-phase of four and a half minutes that set the stage for the ignition of the two L-2-5 engines of the fourth stage, completed right at the T+11-minute mark. The third stage remained on a suborbital arc while the fourth stage continued powered ascent, firing its two 750kgf engines for a little under eight and a half minutes. Cutoff was confirmed just shy of the T+20-minute mark with the vehicle reaching an orbit of 284 by 20,650 Kilometers compared to a target of 284 x 20,657km, 17.86°. 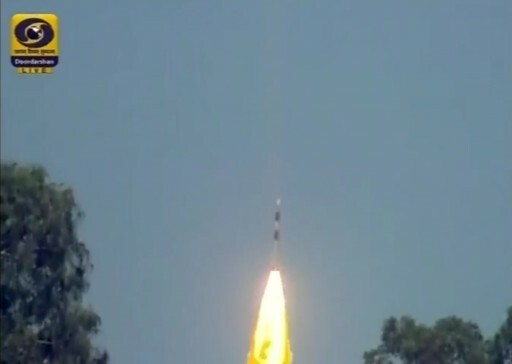 With another very precise ascent under its belt, PSLV’s fourth stage completed a brief stabilization and sent the IRNSS-1G satellite on its way 20 minutes after blastoff. 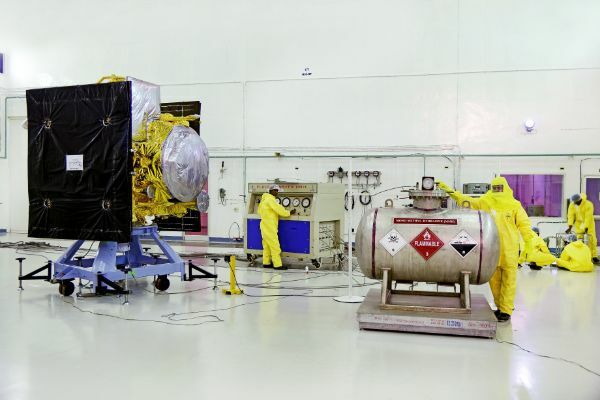 Once in orbit, IRNSS-1G was to deploy its two power-generating solar arrays, establish communications with ground stations and enter a stable three-axis orientation using its reaction control system. Over a period of days, the satellite will complete initial checkouts and start orbit-raising operations. One maneuver using the Liquid Apogee Motor will be conducted at perigee to boost the apogee to Geostationary Altitude followed by three maneuvers that are done to raise the perigee and place the spacecraft in its operational slot to cover the eastern edge of the IRNSS service area.